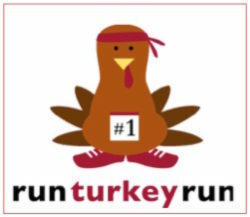 Thanksgiving has arrived, and with it, Almaden Valley’s most exciting annual running event – the Almaden Valley Turkey Run! Come rain, come shine, the Run Turkey Run 5K/10K, organized by the Bret Harte Middle School Booster Club, has been a huge draw over the past years. This year the popularity of the event continues to be on the rise, with hundreds of Almaden residents expected to gather at Leland High School early on Thanksgiving morning. The 10K run begins at 8:30 am and the 5K at 8:40 am on Thursday, November 23, 2017. For those planning to run at this event, pre-packet pick-up is on Wednesday, November 22, from 5:30 to 8:00 pm at the Bret Harte Middle School. On race day, spot entries and packet pick-up starts at 7:00 am. The race begins and ends at Leland High, and goes through trails along the Los Alamitos Creek trail. Whether or not you are running, don’t miss the fun. Join in to run or to cheer your friends and neighbors. Happy Thanksgiving, and enjoy the holiday with your friends and families! Los Alamitos Elementary School fundraising is accelerating in a variety of fun ways this season! On Saturday, November 19, at 6 pm, there is the Ladies’ Wine Under the Stars party. Ladies, come out to enjoy an evening with friends old and new. Stargaze, nibble on delicious appetizers including a variety of cheeses, chocolates, and fondue, and savor great wine as an accompaniment. Tickets: $45. Up ahead on Thursday, December 8, is a pre-Christmas clothing and accessories swap party for moms. You can also enjoy light appetizers and drinks at the event. Tickets: $25. The fundraisers wrap up the year with a Craft Beer Tasting party on Saturday, December 10 at 6 pm. Here you can taste a variety of assorted craft beers, stouts, lager and much more. Food will be served as well. Tickets: $80. 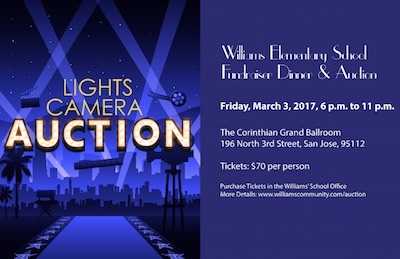 Enjoy these great events while supporting Los Alamitos Elementary School! For more information, contact the Los Alamitos Elementary School PTA and visit http://sjusd.org/losalamitos/pta/pta-at-los-alamitos/nav. Leland Dandiya Raas Night – Celebrate an Evening of Ethnic Music and Dance! Skirts swirling, sticks clashing, Almaden Valley’s Indian community is getting ready to swing and groove to the beats of ethnic Indian folk music. On Saturday, October 22, 2016, neighborhood families, all decked out in richly patterned and colorful, traditional Indian attire, will gather in hundreds at Leland High School, for the community’s biggest festive event of the year, the annual Leland Dandiya Raas night. Dandiya Raas, literally meaning “dances with sticks” is a traditional dance performed during the Navaratri (nine nights) festival. Almaden’s Leland Dandiya Raas Night, an annual event for almost a decade, is organized by the Leland Parent’s Club. All proceeds from this event go towards supporting Leland High School’s academic enrichment programs, capital improvements and supplies. Over the years, the Leland Dandiya has evolved as one of the biggest fund-raising events for the school. To this end, it also draws Almaden families from other communities who mingle with friends and dance to live music and drum beats. I am proud to be a sponsor of this wonderful event. So, come out in your ethnic best for an evening of music, dance color and gaiety at Leland High School, 6677, Camden Avenue, San Jose, CA 95120, on Saturday, October 22, 2016, 7 pm to 11 pm. Food is available for purchase at the venue, and tickets ($20 each) are sold at the gate. Get ready for a Haunted Hoedown right here in Almaden Valley! Do you fancy a ride on a haunted horse? For an early Halloween party, head to the Haunted Hoedown on October 15, 2016, at the Santa Clara Horsemen’s Association at 20350 McKean Road, San Jose CA, 95120. 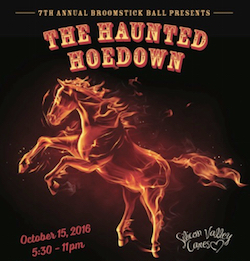 This year, Silicon Valley Cares (SVC), host of the Broomstick Ball Halloween party, is taking the annual event to new heights. At the Haunted Hoedown, costumed guests will be treated to a mechanical bull ride, silent auction, fun games, music and dancing as well as an extravagant dinner spread provided by Justin’s Catering. Tickets cost $130 each and all proceeds will be donated to charity. The Broomstick Ball Halloween costume party is the culmination of a series of annual fundraising events through the summer and autumn. This year, the fun began with the Texas Hold’em Poker and Bingo tournament in August and, more recently, the Annual Par Tee Classic Golf Tournament at the Cinnabar Hills on September 23rd. 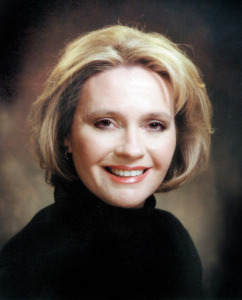 The SVC is an all women volunteer non-profit which donates to beneficiaries like Breakthrough Silicon Valley, a charity for middle school students, the Grateful Garment Project, for victims of sexual attack and the Silicon Valley Pet Project. So what are you waiting for? Bring out those costumes and head to Almaden Valley for a haunted ride of your life. For more information, visit www.siliconvalleycares.org. Would you like to enjoy a night out in Almaden filled with good food, music, dancing and fun-filled casino gaming? 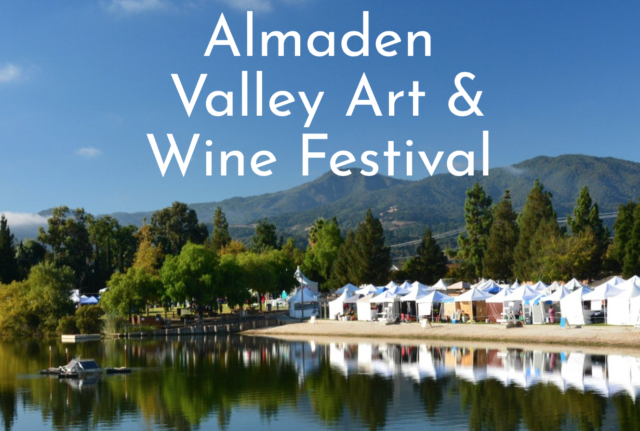 Then join your friends and neighbors at the Almaden Community Center this weekend! 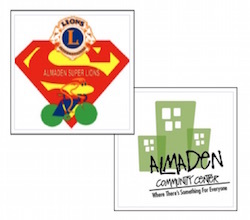 The Almaden Super Lion’s Club, a San Jose chapter of the Lion’s Club International, is hosting the evening to raise funds for charity. All proceeds will go to the aid of the Almaden Lion’s Charitable Foundation assisting the visually impaired, veterans and other groups in need of assistance. The chapter also organizes the I CARE Classic Bike Tour, another highly successful annual fund-raising event. The highlight of the evening will be dancing to the strains of the 10th Avenue Band. So mark your calendar for the event on Saturday, October 1, 2016, 6:30 to 9:30 pm, at the Almaden Community Center, 6455 Camden Ave., San Jose 95120. Tickets cost $50. 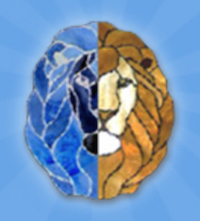 For more information, go to http://www.almadenlions.org/a-night-out-in-almaden.